Pokémon makes its mark on retail shelves across India. As a part of the Spring Summer Pokémon collection, more than 250 products will be available across stores Pokémon products will be available across stores in India and all leading online market places. The range boasts of Back-to-School which includes School Bags, Pencil Cases, Lunch Boxes, and Stationery. It also has a cool collection cross Kids Apparel, Swing Scooters and a line of Camlin’s Pokémon Products comprising sketch pens, mechanical pencils and oil pastels. In addition, grown up fans of Pokémon can lay their hands on some really cool Pokémon phone covers very soon! With its second innings on Hungama TV started in May 2014, Pokémon has become talk of the town not only on screen, but also on retail shelves. 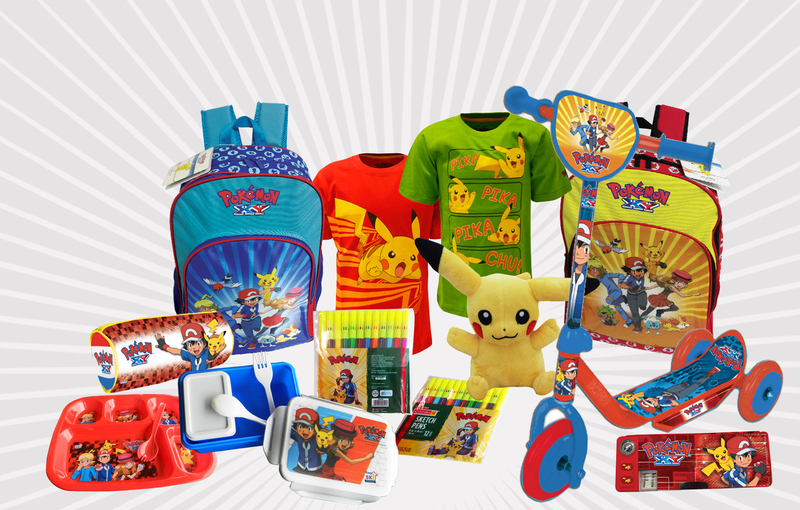 As a part of the retail strategy, we have coined a successful licensing strategy where Pokémon’s Indian licensees have launched a wide range of products and collections for Spring Summer 2016.